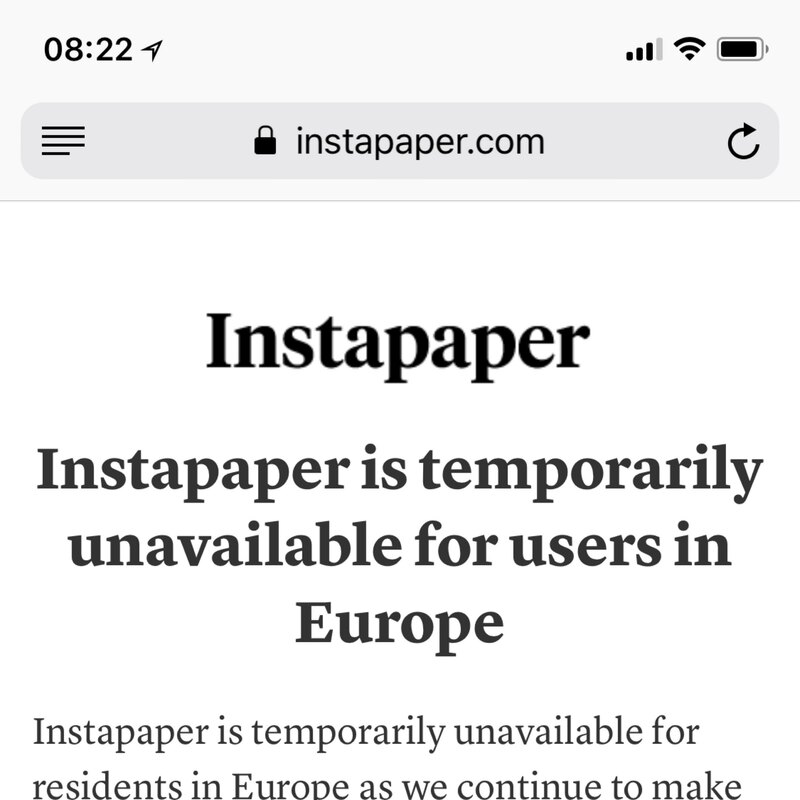 Disappointed by Instapaper. They had 2 years notice. Oh well, I’ve fully switched to Mozilla’s Pocket now and will delete my Instapaper account when it comes back up.